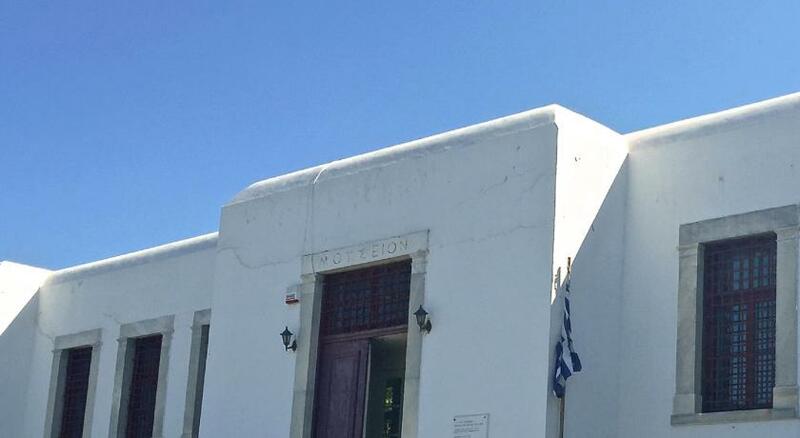 Lock in a great price for Petasos Town Hotel – rated 8.7 by recent guests! It was a rough travel experience getting to the hotel, not the hotel's fault. We were greeted by Vagelis the property manager, whose charm made us forget the rough journey to the hotel. Our room was ready and waiting and it was spotless and updated! We loved our hotel and the management! Can't wait to go back again! Everything was good, clean. Breakfast was delicious. Comfortable beds, accommodating staff , super close to the center of everything. Car service to the beach spa hotel. Great view from hotel balcony. Really nice, helpful staff. Large comfortable room. 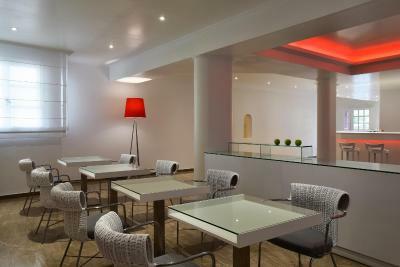 We really liked the service from Panos at the front desk, nice ambient music in lobby and eating area along with a tasty variety of breakfast foods, nice comfy beds and a short walk to town !! Also, the bus transfer to the sister Beach Resort & Spa was amazing, with the beautiful pool & bar area overlooking the bay n beach along with the availability to explore the beach down the street on another day was the aspect we liked the most !! Two hotels in one !! 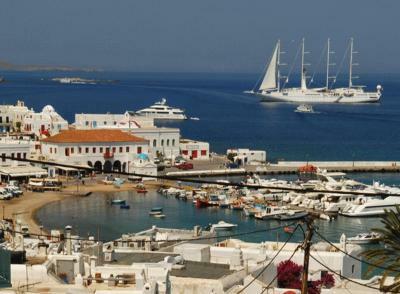 Good location, Petasos is a really nice part of Mykonos town and only a short (yet steep) walk from the hotel. The staff were friendly and accommodated our need for an extremely early shuttle to the airport. 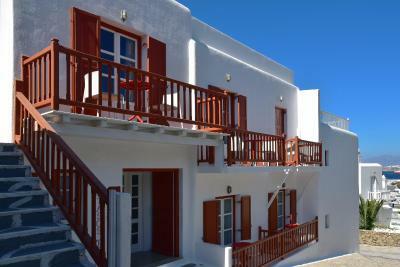 It has a nice roof terrace and the rooms are modern and fairly well equipped. Petasos Town Hotel This rating is a reflection of how the property compares to the industry standard when it comes to price, facilities and services available. It's based on a self-evaluation by the property. Use this rating to help choose your stay! 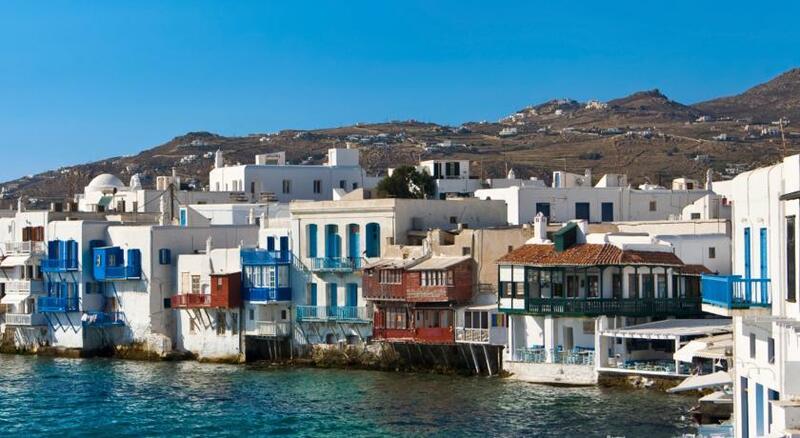 Exceptionally located just a 2-minute walk away from Mykonos Town, the Mykonian-style Petasos Town Hotel is just 1,300 feet from the port. 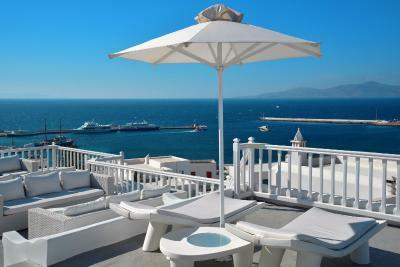 It offers terrace with panoramic town view, transfer service upon charge and WiFi internet access. 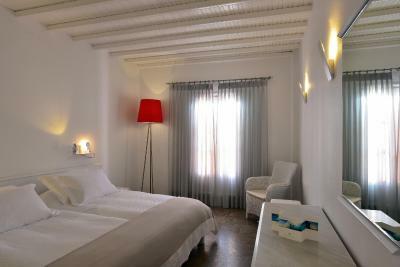 Petasos Town has tastefully furnished rooms, most of them overlooking the town of Mykonos. 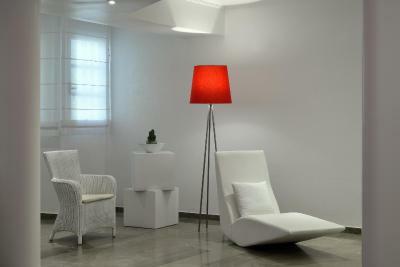 Accommodations at Hotel Petasos includes mini-bar, safe box, air conditioning and TV with international channels. 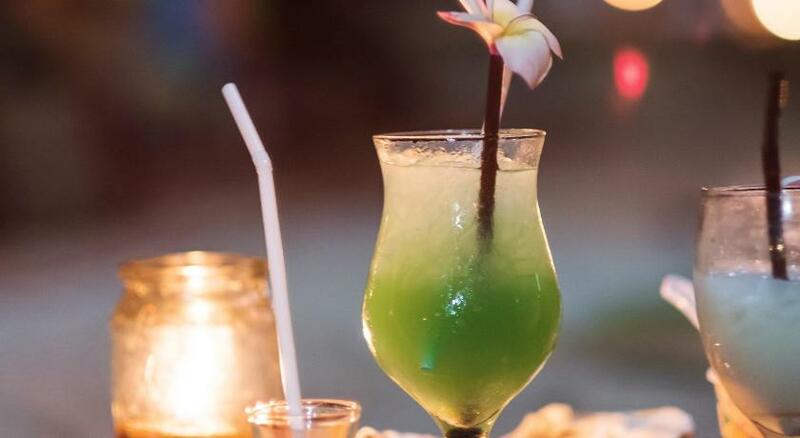 Guests are offered complimentary round trips to Petasos Beach Resort & Spa, where they can enjoy cocktail drinks in the pool restaurant or use the recreational facilities. 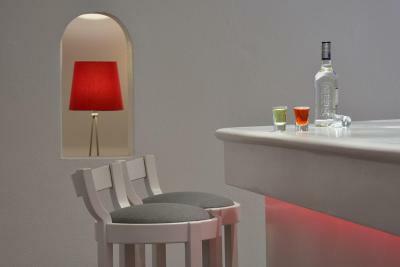 The hotel’s privileged location is ideal for those who want to combine relaxation with the well-known nightlife of Mykonos. The airport is 2.5 mi away. 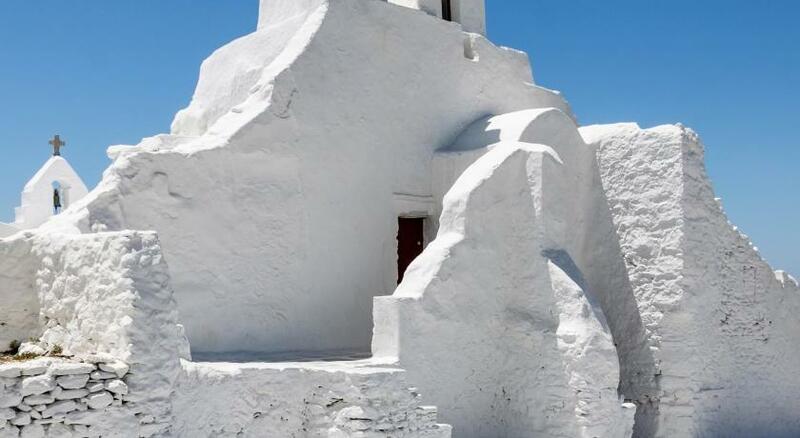 When would you like to stay at Petasos Town Hotel? 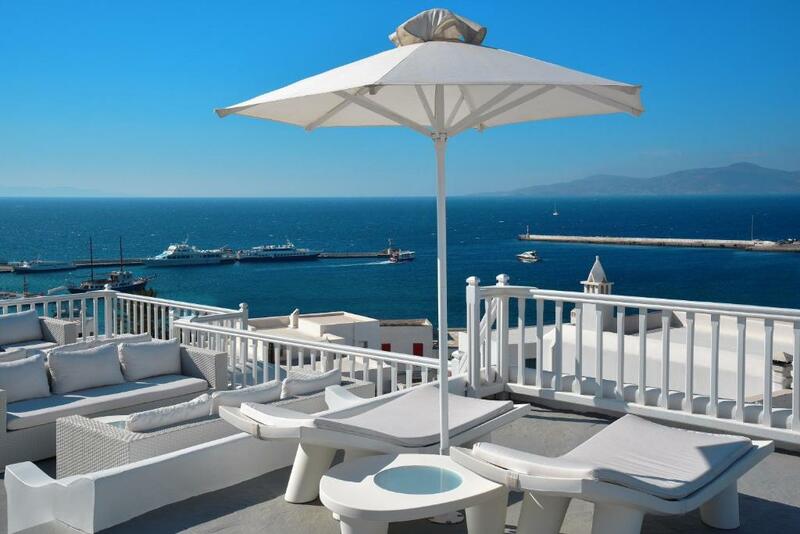 This tastefully furnished room opens to a private balcony. 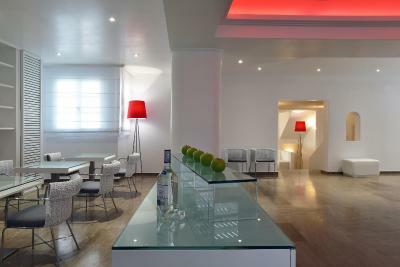 Facilities include individually controlled air conditioning, minibar and satellite TV. 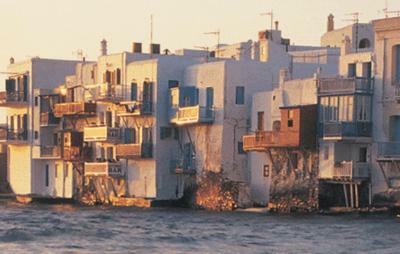 Most of the rooms overlook Mykonos Town. House Rules Petasos Town Hotel takes special requests – add in the next step! 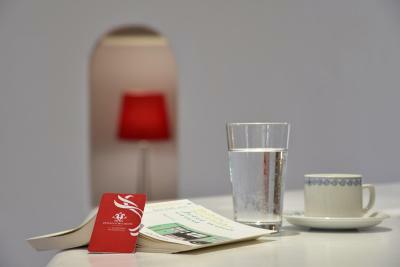 Petasos Town Hotel accepts these cards and reserves the right to temporarily hold an amount prior to arrival. Shower was too small and I'm only 5'8" tall, especially since there was room to expand the shower area, another 10" on each side would have helped significantly. Signage pointing to the hotel from the street. It's very noisy in the evening with a lot of people parking their quad bikes outside the hotel and using them to go to and from clubs in the early hours. Also there was either faeces or blood on our sheets, unsure which. I'm sure this was a one off but we were the one sadly. Impersonal hotel, very noisy at night with all the quads and motorbike circulating during the entire night just in front of the room.Very poor light. Very expensive for what it is. I would not go back again. Be extremely careful, the town hotel does not have a pool and the "terrasse" is very small with no view at all. Breakfast was disappointing and the hotel is overall noisy! Asked for twin beds, it was confirmed and got a double. Bath is ridiculously small, should just be a shower and hard to locate as it is at the top of the hill in town. Staff were super welcoming and helpful. Hotel overall was extremely clean and less than 2 minutes from the main water front restaurants. Great WiFi too. The rooms, particularly the bathrooms, are small. The location, air con and use of facilities at the sister venue. Ability to use the sister beach hotel facilities.